This year's Family Fun Day (26 May) is set to be bigger, better and more action-packed than ever - and visitors can get on track themselves with a host of thrilling drivng experiences. The day is packed with family-friendly activities including live music, exciting mountain bike stunt shows, transformer vehicles and supercar rides around the Cheshire countryside that will raise money for local charity, The Joshua Tree. Guests can experience the thrill of numerous adrenaline-fuelled experiences: taking to the track in a 425bhp BMW M4 for a series of high-speed laps with a professional instructor or heading off-road in the bucket seat of a works-prepared Toyota GT86 rally car for a series of sideways hot-laps with an instructor performing some truly jaw-dropping manoeuvres. Children as young as 11 can also get behind the wheel for the first time with our YoungDrive! taster experience. Kids can jump in the drivers seat of a dual-controlled MINI One and learn the basics of car control in a safe environment in an experience lasting ten minutes. Sporting Bears Motor Club will offer passenger rides in a range of epic supercars in exchange for a donation to The Joshua Tree. 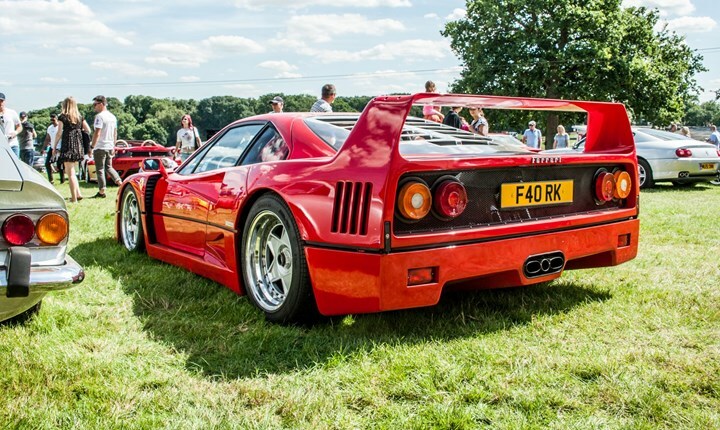 Visitors will be spoilt for choice with classic sports cars right up to current-day supercars. There will also be a mouth-watering supercar display area featuring a wide variety of vehicles on show with owners invited onto the circuit for a series of parade laps. Driving experiences start at just £20 and can be booked in advance here. Discounted advance adult tickets for Oulton Park Family Fun Day are available online for £10 with FREE entry for under 13s. Click here to book.